Pebble Time Steel is the premium version of Pebble Time, so it maintains the rectangular and simple design of its brother, but the difference is that both the body and the buttons are stainless steel, adding this detail of a premium sensation. The leather strap that comes with this smartwatch is comfortable, although it is possible to easily change it for another type of strap, so that you can exchange them and adapt the watch better to each situation, since you have a great variety to choose from. This device has a color e-paper technology screen, although in terms of quality it is far from the rest of smartwatch of the competition, but there are also many benefits offered by this technology. Among them is being able to keep the screen always on, which allows the information is always visible. Also it draws attention its spectacular visibility in conditions of great light, and is that in this aspect has no rival. In addition, thanks to the technology of screen and the processor of low consumption, the Pebble Time Steel allows to enjoy up to 10 days once fully charged, aspect quite remarkable. Pebble Time Steel smart watch incorporates a microphone that allows to answer messages or save notes, although this will depend on the operating system of your smartwatch. Another advantage of this watch is water resistance, since it can dive up to 30 meters. A characteristic that is especially appreciated in summer or if you usually do some kind of water sport. It also incorporates a port that will allow to expand the capabilities of the watch using smart straps, so in the future will be able to incorporate new sensors, such as GPS, a heart rate monitor or others. The operating system of this watch proposes a different way of interacting with the smartwatch, and is based on placing in a timeline all the information that interests you, and whose operation is very simple. As for the notifications, if you have an iPhone you will receive on the clock all the ones that reach you, but if you have an Android terminal you can choose which ones get to your smartwatch. And a catch for iPhone users is that they will not be able to interact with the notifications, being unable to respond directly from your Pebble Time Steel., While with Android you can respond even by voice. In short, Pebble Time Steel maintains the philosophy of previous models, it does not pretend to do everything but to do well what it offers. 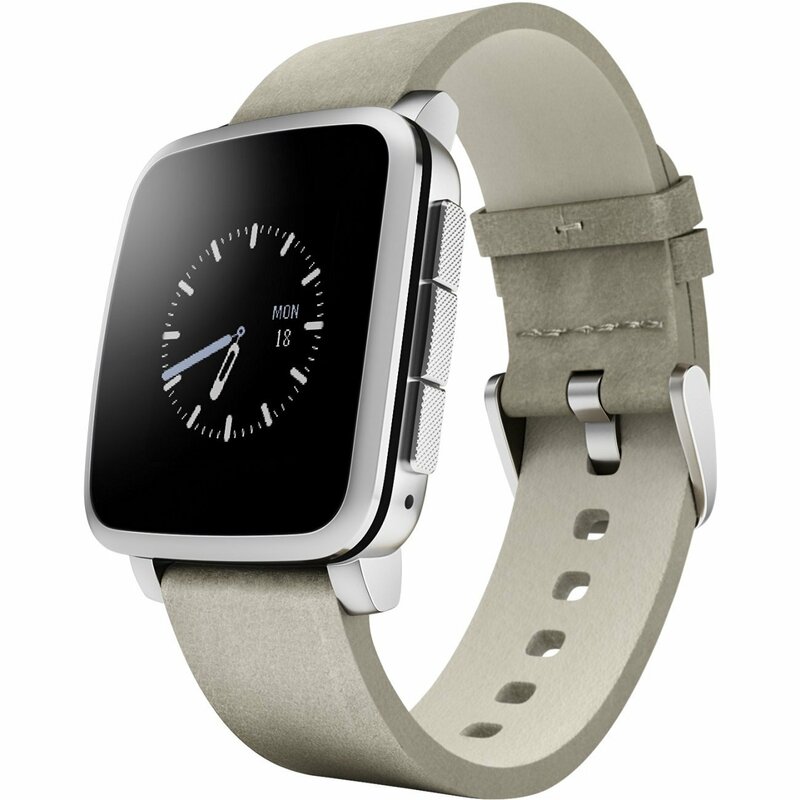 Pebble Time Steel - Smartwatch (128 MB RAM, Li-ion, Android, 4.0, Bluetooth 4.0), silver color is a very good product that fulfills what it promises. It can be purchased in amazon . This product has been developed by Pebble.